Reviews - DeSantis Renovation Solutions, Inc. They did a complete bathroom renovation, tearing it down to the studs. They also painted, and did some shelving and various other things I needed to move-in to my new condo. They were courteous, professional, and completed everything in a timely manner. Their prices are lower than all contractors I had contacted previously. Nick the owner, went out of his way to run to Home Depot for me to pick up other things I needed as we went along with the re-model. I trusted them enough to give them a key to my condo while I had to go out of town on an emergency. My bathroom turned out awesome, and I highly recommend them to anyone needing this type of work. 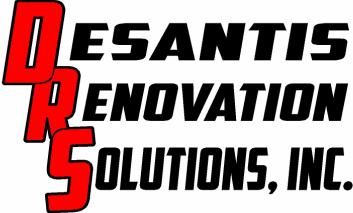 Haute Homes Vacation Rentals is so excited to have partnered up with Desantis Renovation Solutions Inc.! Thank you for your assistance in all our maintenance and construction needs! Our ability to provide the guests of Haute Homes the highest quality accommodations is in part due to the great work you do! Everybody knows how hard it is to find a reliable, honest contractor that does what they're asked to do. These guys are just that. They installed our water heater to code for $400 less than the guys who we hired to do it before them (and who never showed up). Hire DRS with confidence. We have been working with DRS for a few years now. They are always honest, dependable, and do great/clean work. They are our go-to whenever we have any trouble with our house...big or small. We are never disappointed with their work and meticulousness, or with their competitive prices. Great company to have on your side. I have been working with Desantis Renovation for just over one year and wish I had meet Nick and Damien sooner. I am impressed with their quality of repairs but also with their hard work ethic and professional demeanor. I highly recommend Desantis Renovation. As an interior designer I call Nick and his crew for everything big and small for clients and my own home! You will not meet a nicer, more trustworthy man then Nick. These guys are professional, honest & do a fantastic job. I really like that they treat me as an equal and don't "talk down" to me since I am a lady and not a man . They carefully explained things to me and discuss all that needs to be done. Most important they ask for approval for what needs to be done and have stuck to their competitive bids without going over. They work hard, are fair and I trust them. I have had them do A LOT of work; once they accidentally damaged a door, he called me over, showed it to me and told me it was their fault (even though I thought it could be patched he told me it would compromise the door lock) and they immediately went out and purchased a new one and took full responsibility for it and didn't charge us for it! I was impressed and still am. I switched to using them for maintenance that we need as well and have now used them for 3 years now and am so happy I found them.